Project Apollo represents one of the great technological achievements of the 20th Century, a moment when humanity left its home planet for the first time to explore another celestial body. An estimated 530 million individuals from around the globe witnessed Neil Armstrong descending the Lunar Module’s ladder, this in a time when the television had yet to become a ubiquitous technology globally. A majority of today’s population were not alive during lunar voyages, so their perspective on the events can only be drawn from written and recorded accounts or living people who viewed them. But as we witness the 50th anniversaries of the Apollo Missions, we as a society are slowly losing those individuals who possess that direct recollection of the project. Without reaching out to citizens now, future generations will lack the reflections of the everyday people who listened to the Apollo 8 crew’s Christmas message, witnessed the liftoff of the massive Saturn V launch vehicle, can recall precisely where they were when Armstrong first set foot upon the Moon or participated in one of the protests against the cost of Project Apollo. The capture of these memories will provide a complete record of this monumental event. The goal of Reflections of Project Apollo is to capture recollections from those who were witness to the great adventure. Did you travel to Florida to witness a launch of the massive Saturn V rockets? Perhaps you attended one of the astronaut parades during their global tours of goodwill? You may be saying, “What if I viewed a mission on television? Can I still participate?” Certainly, as this is precisely how most on Earth were able to experience the flights of Apollo. Did a parent work on Apollo? If so, we are equally interested in your childhood reflections. 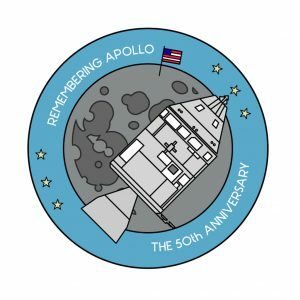 Do you have memorabilia from Apollo? If you have photo, document or newspaper that can be scanned, we would be grateful if you could scan and email a digital copy. Do you still have a childhood toy? Take a photo and email it.